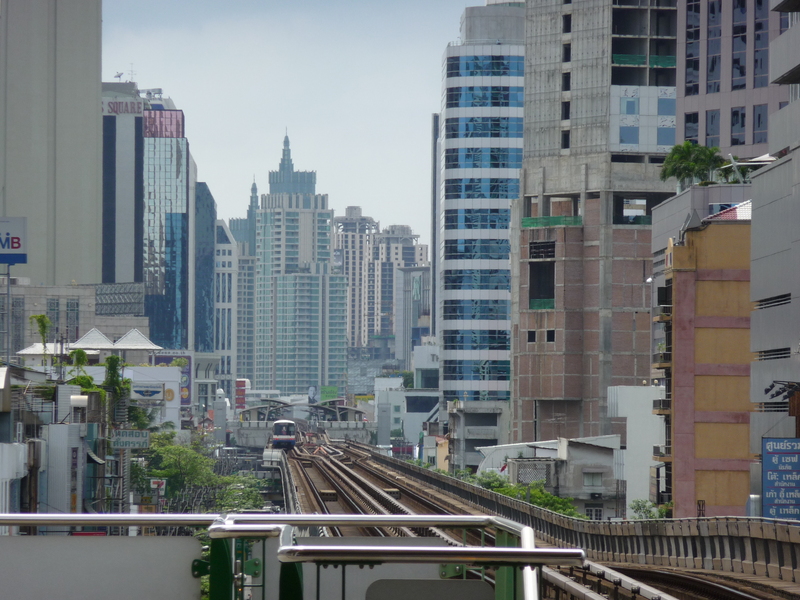 Where to take a dump in busy, hectic Bangkok? This week I give away my secrets for where the best toilet facilities are when you are out and about in Bangkok. It’s all well and good to know where all the star attractions are, where to buy that hard to find shopping article, or what is the most efficient way of getting around town. However, possibly more important than all of the above is knowing where the best places to visit are when nature is calling… and sometimes calling urgently. 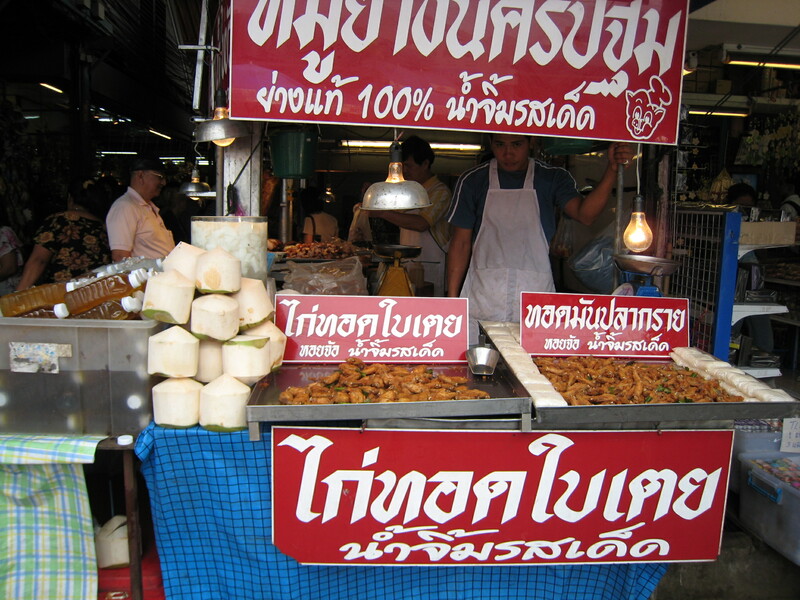 This post therefore looks at the best toilet facilities that I have found, broken up into different regions of Bangkok. 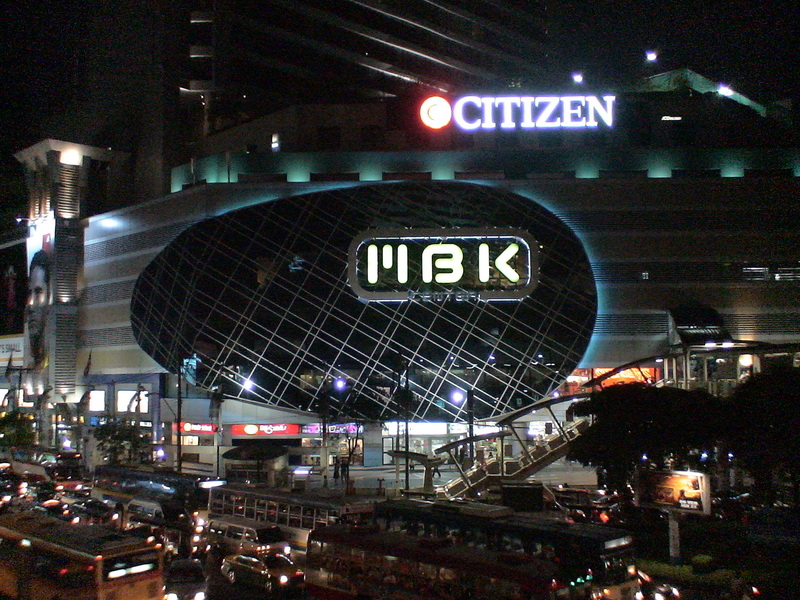 This is the central shopping district of Bangkok and is flanked by centres such as MBK, Siam Discovery, Siam Centre and Siam Paragon, with Siam Square located on the Southern side. In this section, the place you don’t really want to be when nature is calling is Siam Square, as the quality of toilets depends on the little enterprise that you happen to be visiting which sometimes offers nothing more than a traditional squat toilet with water scoop. Instead, it is better to scurry over the road (if possible) and hit one of the big shopping centres. The best choice amongst these shopping centres for toilets is actually Siam Discovery. Many of you will disagree with me on this point, but hear me out. MBK is extremely crowded and their bathrooms get more use than any of the other shopping centres (they also used to charge money for the bathrooms, which is always a warning sign of a poor quality bathroom in Thailand). Siam Centre has the most recently upgraded bathrooms, but it also can be quite crowded, and there are always Thai youths hanging around (and sometimes causing “innocent” mischief). Also, Siam Centre’s renovations were still tied to a building structure that was designed in the 1970s and so bathroom size is quite small and cramped. Siam Paragon has the most nicely designed bathrooms. If you like to take photos of the bathrooms you visit then this is the place for you. However, I find it hard to find a quiet bathroom in Paragon and due to use, I find a lot of things tend to be regularly broken in their bathrooms in recent times. They aren’t as busy as MBK or Siam Centre, but still quite busy, especially because some of the bathrooms get used by the adjoining commercial centre. Siam Discovery wins because they have neat and tidy bathrooms (not ultra modern like Paragon, but still nice, and it has what you need), and most importantly, they have peace and quiet. You can use the facilities and meditate if you want to. It doesn’t feel like you are in the middle of a train station. The busiest bathrooms are on the two skylink levels (ie the level where the MBK walkway enters and the next level up for the bridge to Siam Centre). The most peaceful level is the top floor where the ice skating rink was (the rink seemed closed last time I was up there, although not sure if the closure is permanent). You just finished some high-octane shopping and suddenly your bowels give you “the sign” as you walk along the Sky Walk between Central World and Gaysorn Plaza… then head into Gaysorn, as you will be guaranteed peace and quiet. 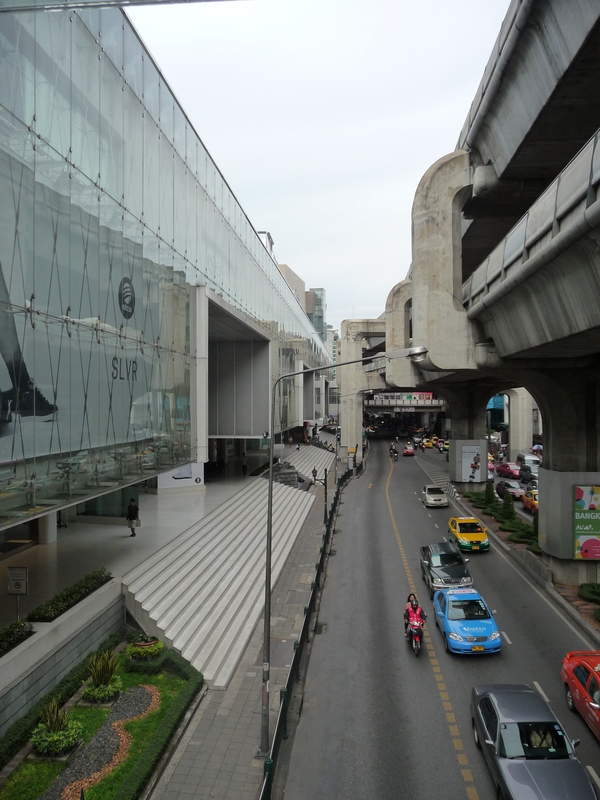 This has to be one of the emptiest shopping centres in Bangkok’s shopping hub. Once you over-come the sheer blast of “white-ness” as you enter, head up a level and use the top floor bathroom if you want guaranteed peace and quiet for your meditations. The options in Central World and Amarin Plaza are also pretty good. Amarin recently upgraded their toilets (previously they were so old they even had squat toilets in some stalls). Amarin is another very quiet/empty shopping centre, although avoid the food hall level at the top… there’s some truth to the correlation between spicy curries and bathroom usage. 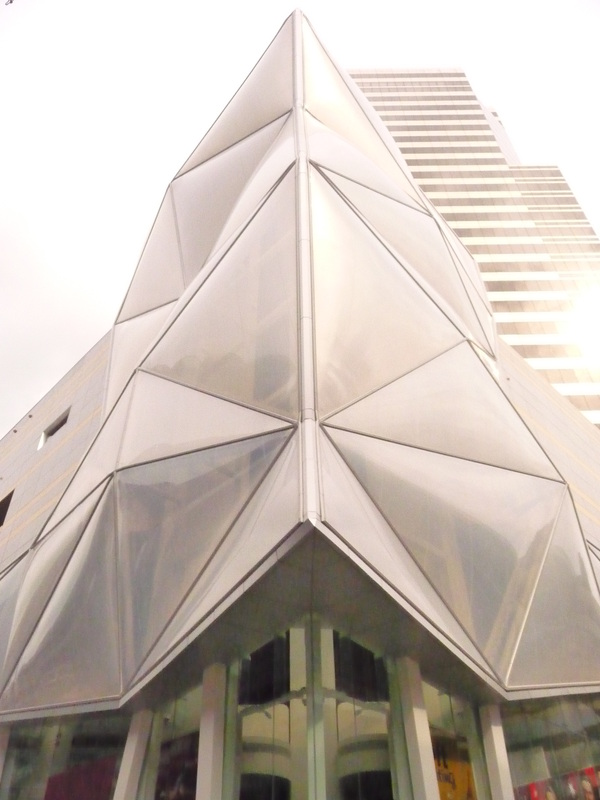 For Central World, head towards the back just near the entrance to Isetan Department Store. The bathrooms near that entrance (on each level) tend to be in the quieter areas of Central World. If you find yourself in the Patpong and Upper Silom Road area (or even if you are in Lumphini Park but want to avoid the horrible park toilets) then the best place to visit is the newly refurbished Silom Centre (just across from Patpong and directly linked to the Sala Daeng skytrain station). This place gets pretty busy at lunch but bathrooms are a decent size and there are plenty of levels, so just head up (or down) until you get a more peaceful floor. Incidentally, one of the worst shopping centre bathrooms I have found is in the Thaniya Plaza centre, near the link to the Sala Daeng station. If you find yourself around the Saphan Taksin skytrain station or down below at the ferry boat pier and nature starts making its rumblings, there are a few solutions nearby other than contributing to the already foul contents of the river. 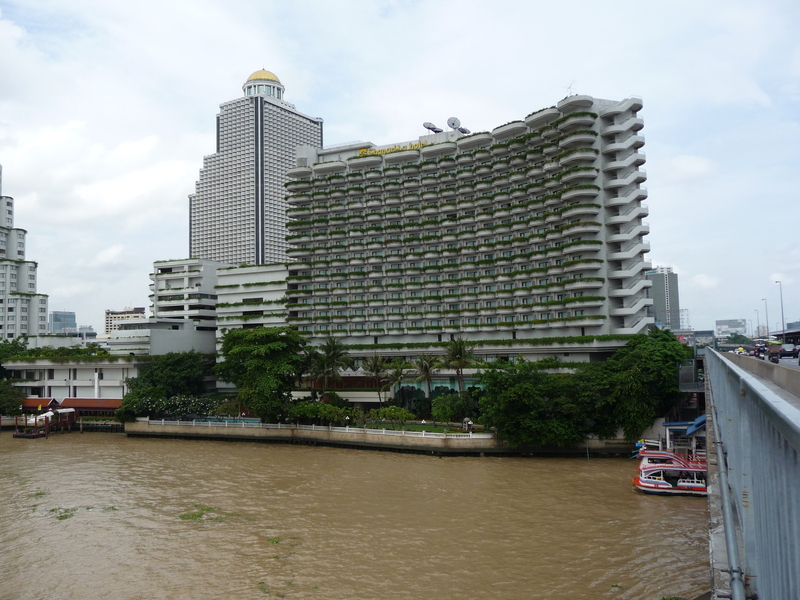 The closest is to walk back a bit from the river, turn the corner and go into the Shangri-La hotel lobby. They have nicely appointed rest-rooms (photo-friendly for all you selfie-freaks), but try to act like you are meant to be there or else hotel security might get on your case. 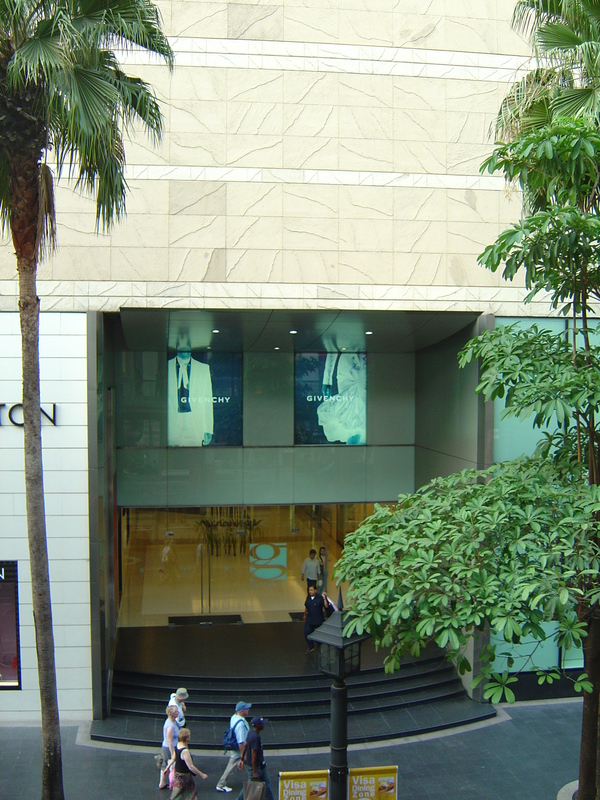 The second option is slightly further away, but if you back-track all the way up to the intersection with Charoen Khrung Road, there is a Robinsons Department Store. It’s a bit of an older building and could use a renovation, but if you got kicked out of the Shangri-La then this is your most viable alternative. Okay, if you need to go while you are near the Asoke intersection with Sukhumvit, then congratulations, you get to see the nicest/coolest bathrooms in Bangkok. Head to Terminal 21 and check out the bathrooms on each level. Each one is done differently, in concert with the different country themes of each floor. My favourite is London, where the bathrooms are done up like the London underground stations. The biggest surprise is that each bathroom uses the new ultra-high tech Japanese digital toilets, that include warm seats and different programming options for streams of water. Be careful if you are a guy though, as there is nothing more annoying than accidentally getting water sprayed up your front instead of back. The service staff in these bathrooms are incredibly friendly as well (and no, that isn’t code for any special services for those of you with dirtier minds; I simply mean that literally, the bathroom attendants are very cheerful, friendly and seem to take pride in keeping their bathrooms clean). If you need to go while in the Ekamai area, then head into the Ekamai (Eastern) bus terminal and go to the bathrooms there (just between the waiting area and the bus concourse)… actually I am just kidding. This is one of those places you don’t want to go to. 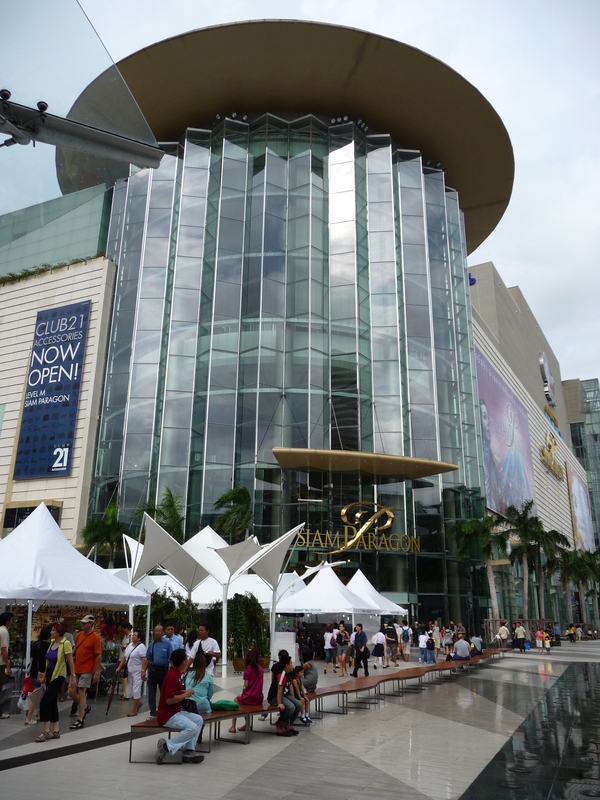 However, if you are in the area, then one of the newest malls in Bangkok is here. Head into Gateway (just off the Ekamai sky train station) and pick a floor. Notwithstanding being new, this place isn’t normally too packed either. Not many tourists make it this far on the sky train line, but many of us expats come through here. The only real option off of the On Nut sky train station is the Tesco Lotus store. It’s crowded and it needs maintenance, but its the only option that I can think of. If you need to go while shopping till you (sometimes literally) drop at the Weekend Market, some of the better bathrooms that I have found within the markets are past the Northern end, within the Chatuchak (or Jatujak) Plaza. That is the airconditioned section of the markets. Other okay bathrooms within the markets are at the Northern end (just off Section 19, just near all the banks) and also the two bathrooms on the Western side (at Section 1, also not far from a bank). All of the other bathrooms within the markets can become a horrible experience and you certainly wouldn’t dream of taking your time in one of the stalls (think long lines of impatient people yelling curses at you for taking your time). If you are across the massive Vibhavadi Rangsit behemoth from the markets and in air-conditioned luxury within Central Lard Prao, then have no fear. The shopping centre was fully upgraded a couple of years ago and the bathrooms are now very attractive (although very dark). They have a bit of a “cave” or earthy feel to them, but I find it quite good for quiet reflection. 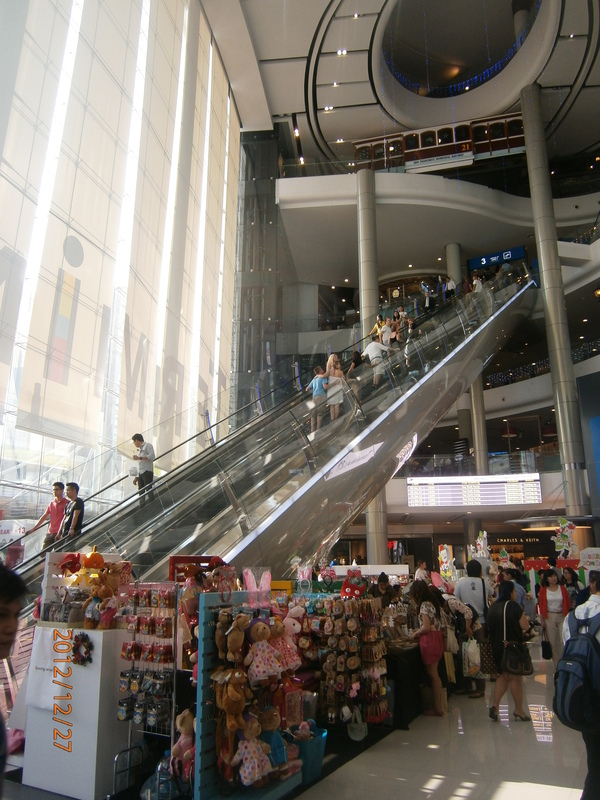 The better ones are on the upper floor of the shopping mall near the Central Department Store entrance. There tends to be less foot traffic on this level.